Part of the tunnel of the National Palace of Culture in Sofia will be closed as of Sunday, 10th of February due to building the cable network of the new trolley bus route along Cherni Vrah Boulevard. The new route of trolleybus line 7 will connect Lyulin and Manastirski Livadi districts with the centre of the capital. 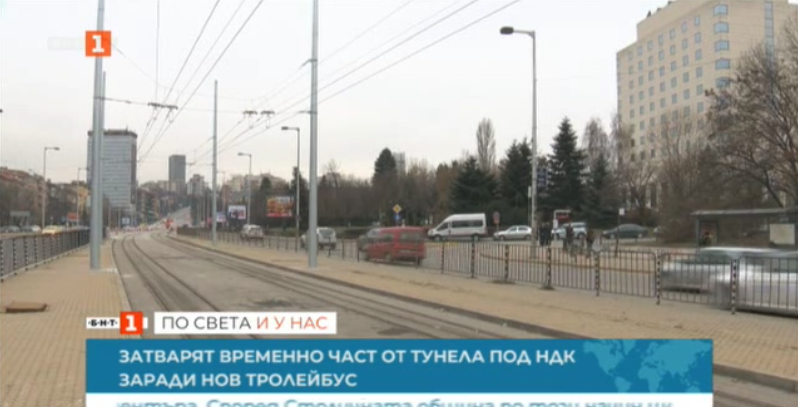 According to Sofia Municipality, this will ensure maximum speed of the public transport through two difficult intersections. The trolleybuses are expected to start running on the new route as of April. With this extension, this will become the longest trolley line in the capital - nearly 15 km. The trolley buses will run every 8 and 10 minutes in the rush hours. The extension of the trolleybus line will replace the tram number 6, which ran to Lozenets.